Circular progress bar/ loader can be shown at the time of loading content from the server/internet like twitter android app has, refreshing the page like gmail android app. Not only that circular progress/loader can be used to show downloading, uploading progress and many other purpose. 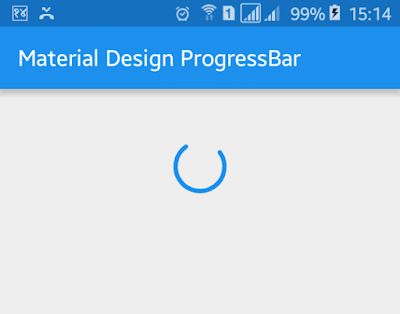 In this tutorial, you will learn to make material design progress bar for android application/game. Implementing material design progress bar in android is not much difficult to implement in apps or game if you have some knowledge of android app development. Let’s start by adding compile 'com.github.rey5137:material:1.2.2' dependency to your app build.gradle file. Build.gradle file will look like below. I am making this material design progress using ProgressView widget so open your app’s XML layout file and add ProgressView widgets. Following is the complete content of XML layout file. Following is the modified code of java activity file. 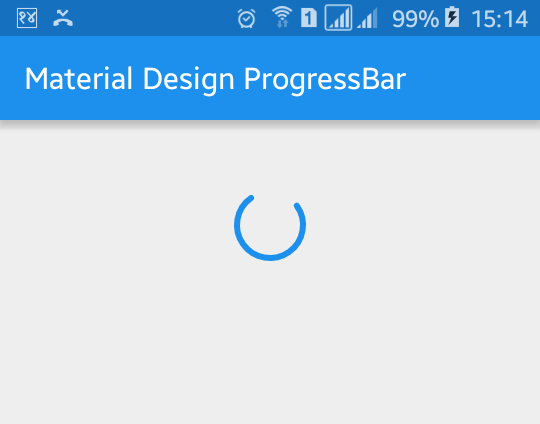 Now run your Material Design Circular ProgressBar For Android application, the progress/loading will start automatically after running app.